Allow me to introduce, Edie Melson. I know Edie as an amazing writer, a social media guru, a wonderful woman of faith, and a mother of one of our American Servicemen. If your son or daughter isn't serving ~ you may know someone who has a son/daughter putting their lives at risk for the rest of us. You may want this for yourself or you may want to look into getting the book below as a gift for those parents/grandparents. 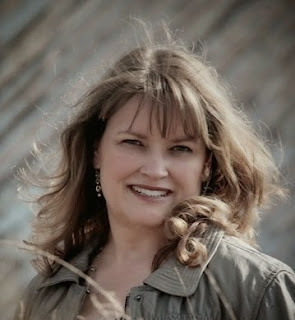 She's the Military Family Blogger for Guideposts.org, social media director for several writing websites, and a popular ministry and conference speaker. Connect with her on her blog, The Write Conversation, Twitter, and Facebook. I learned to take my overwhelming fear to the only One who could protect him. And I left my son in God’s hands. The prayers weren’t pretty. Often times they weren’t even words. They truly were the groanings we read about it Romans 8:26-27. This is one of the most timely books I've ever featured here at Journeys To Joy. I'm in the process of writing a Wounded Warrior story after months of research and interviews with those living the WOUNDED WARRIOR LIFE. Thank you, Edie for your article here, your candidness about your personal experience as a military mom, and for rearing your son to become one of our own AMERICAN HEROES. I'm praying for God's richest blessings for you and your family! I bought the book and love it. You don't have to have your own soldier serving. You can pray these prayers for all our military! Thank you for pointing that out, Ane. 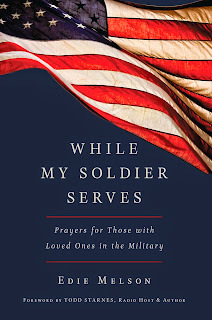 I too have no one close to me serving, but I pray daily for our men and women and Edie's book is WONDERFUL! Thanks for stopping by, Ane. Thank you for your post and your book. So glad to have had you here this week at Journeys To Joy.